Here's the quick summary of stocks Wedneday: Close, but no cigar. The Dow rose to a record high, but the blue-chip average is still about 24 points below 17,000 -- a level many investors say is psychologically important. 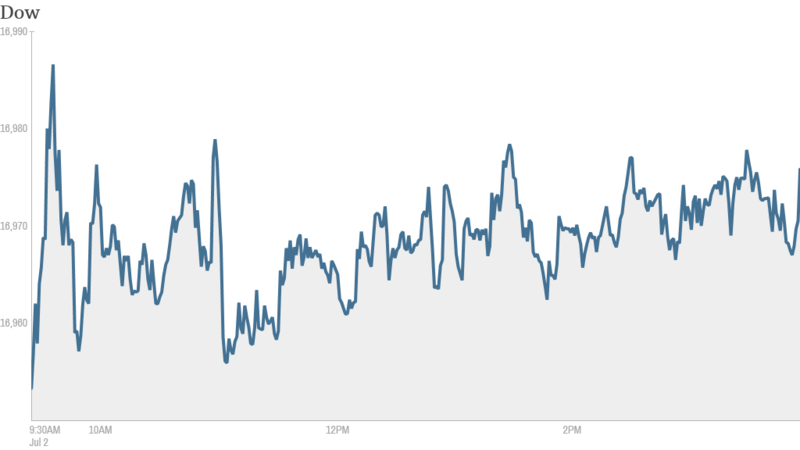 The modest advance (0.12%) was enough to push the Dow above its all-time high from Tuesday. The S&P 500 narrowly surpassed its record high as well and now sits at 1,974.6. The Nasdaq inched lower. 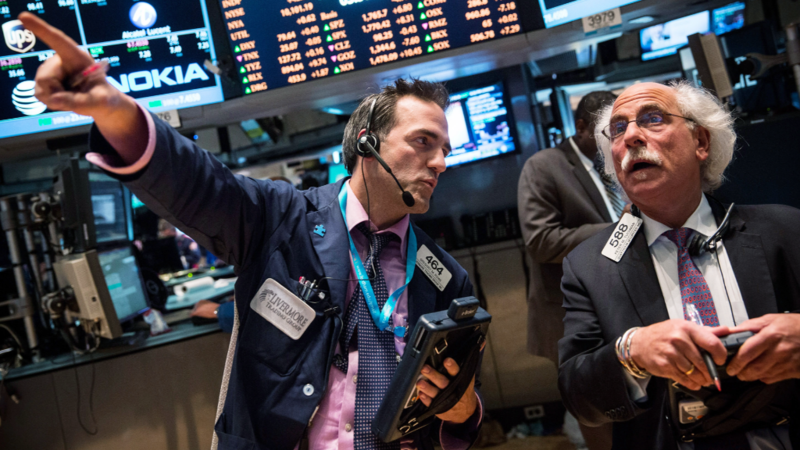 Here are 6 things traders were keeping an eye on ... besides the Dow. 1. Is the market too hot? There are signs the stock market may be overheating. Central bankers sound increasingly concerned about asset bubbles. Some measures of stock valuations are flashing red. And while the economy has improved, some investors say stocks have outpaced reality. The CNNMoney Fear & Greed index is currently pointing to 'extreme greed'. Scott Wren, senior equity strategist at Wells Fargo Advisors, downplayed the significance of the Dow crossing 17,000 in a note to clients. "This is not a technical trading level that looks important on the price charts," he said. "It is more of a psychological level." Dow near 17,000 ... so what? Still, he expects the Dow to continue pushing higher, thanks to record corporate earnings, stock valuations that are "reasonable," a gradually improving economy and continued support from the Federal Reserve. 2. Strong hiring in June: Paycheck processor ADP (ADP) said private-sector payrolls grew by 281,000 in June, far exceeding expectations. The report suggests the government's monthly payroll tally, which comes out Thursday, could exceed 200,000, according to CNNMoney's survey of economists. 3. Delta blames World Cup for poor traffic: Airline stocks were grounded after Delta (DAL) said the World Cup was taking a toll on business travel in Latin America. American Airlines Group (AAL) and United Continental (UAL) were also down sharply. One trader on StockTwits said airline stocks were hurt by concerns that bad weather could make traveling difficult this 4th of July weekend. "$AAL $DAL Hurricane in the middle of a holiday is sending airlines down. But it's probably a buying opp," read a post by WingPuppy. 4. Constellation soars, GoPro finally comes back to Earth: Constellation Brands (STZ) shares gained over 2% after the beer and wine distributor reported strong quarterly results and boosted its outlook. The U.S. distributor of Corona expects net income from its beer business to grow between 25% and 30%. Gravity appears to be setting in for GoPro (GPRO). Shares of the wearable video camera company were down for the first time since it's initial public offering on Thursday. That said, shares are still trading above $42 -- a significant premium above the IPO price of $24. JPMorgan (JPM) was another well-known stock on the move. Shares fell nearly 1% after CEO Jamie Dimon announced he was diagnosed with a curable throat cancer. He will continue working as he undergoes treatment. 5. Yellen speaks, markets listen: The head of the Fed, Janet Yellen, said in a speech Wednesday that she doesn't currently see any need to shift the central bank's focus from supporting the economy to managing financial risks. While she sees "pockets of increased risk-taking across the financial system," Yellen argues that policymakers have made progress in safeguarding the system from unexpected shocks since the financial crisis. Pimco chief Bill Gross also believes that asset markets are not as "bubbly" as they appear. In his latest investment outlook, Gross said he expects interest rates to remain subdued for a long time, which should limit the risk of a bear market in stocks. 6. International markets: European markets ended mixed. All the major Asian markets ended with gains, taking their cue from Wall Street's rally on Tuesday. 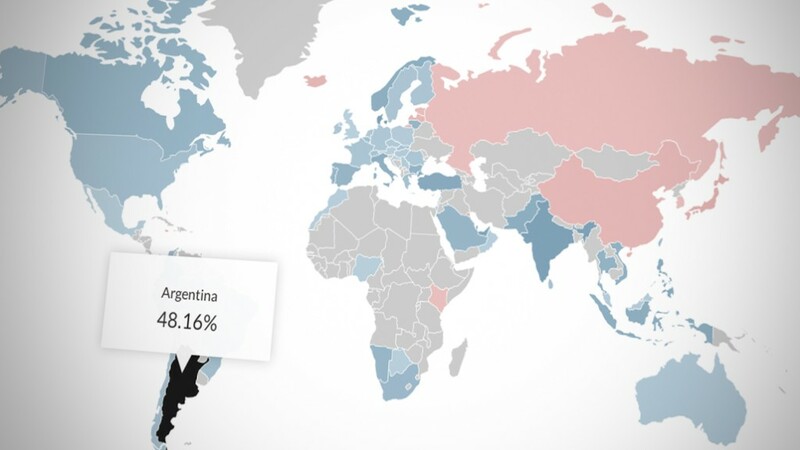 Argentina is doing well in the World Cup, and its stock market is scoring goals with investors too. Despite recent concerns about its bonds, Argentina is by far and away the world's top performing stock market so far in 2014. Check out the rest.